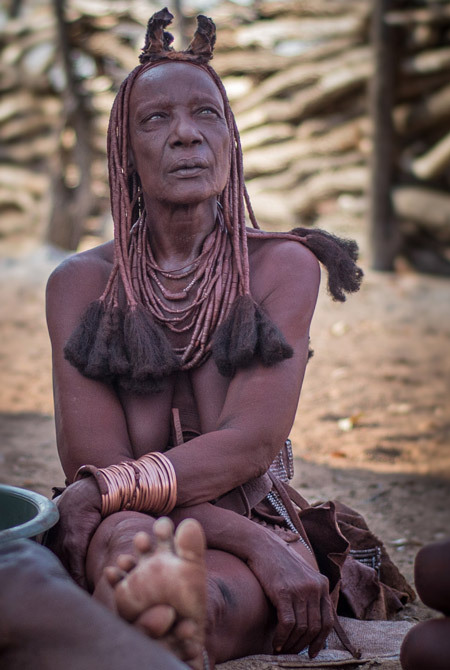 We had heard about Koos Verwey and the work that he does with the Himba communities in the northern region of Kunene, and meeting him was most definitely a highlight for us during our trip through Namibia. 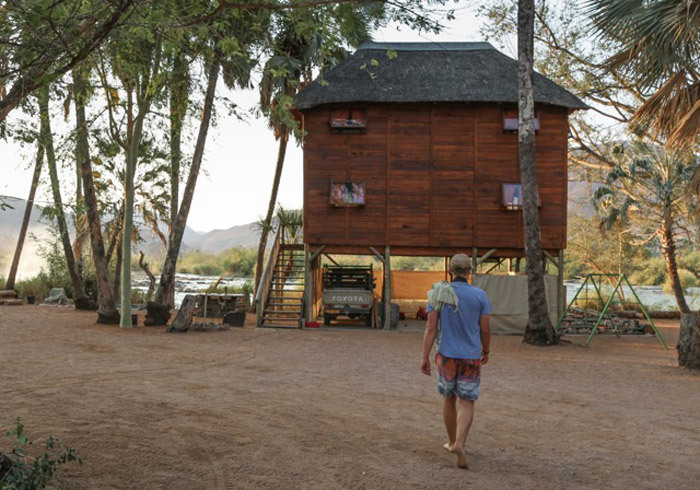 Koos Verwey owns Epupa Falls Lodge and has a passion for the local communities and for conservation. 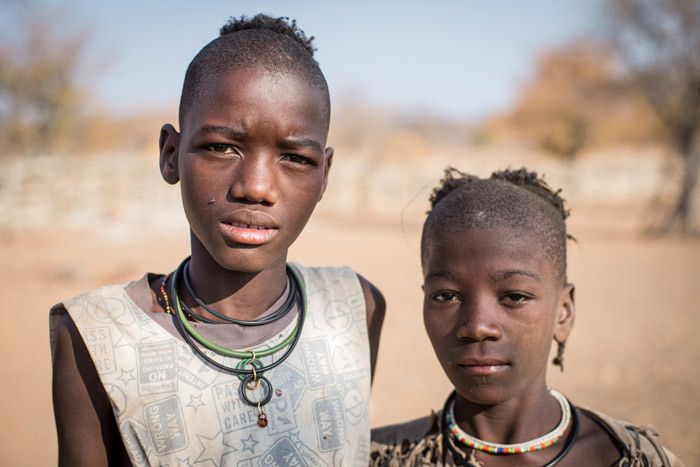 We were very privileged to meet and spend time with him and his family – Juanine, his adopted Himba daughter, and her two girls who live on the Kunene River are all a huge part of Koos’s life. 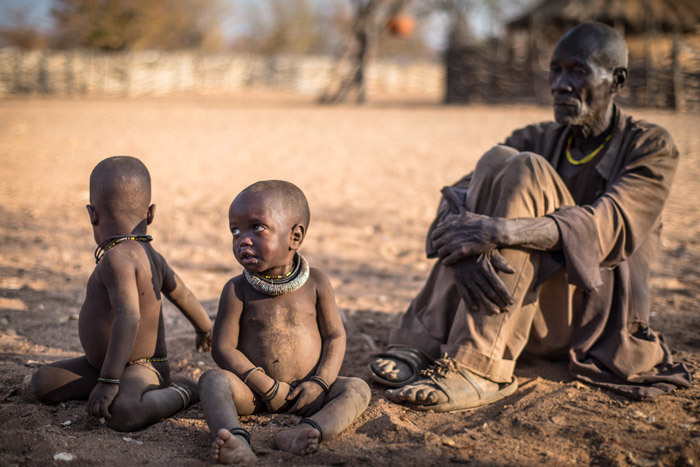 Koos left his prestigious military career in Stellenbosch to work with the Himba community in Namibia and started running trips called Kaoko-Himba safaris. 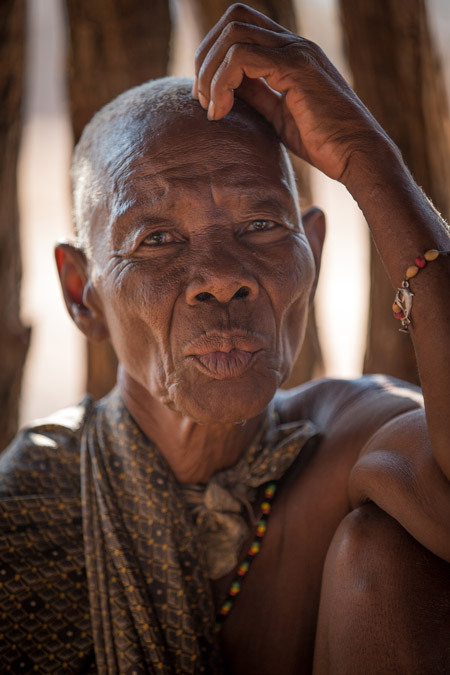 He has since settled at Epupa Falls where he runs the lodge and works alongside the community. 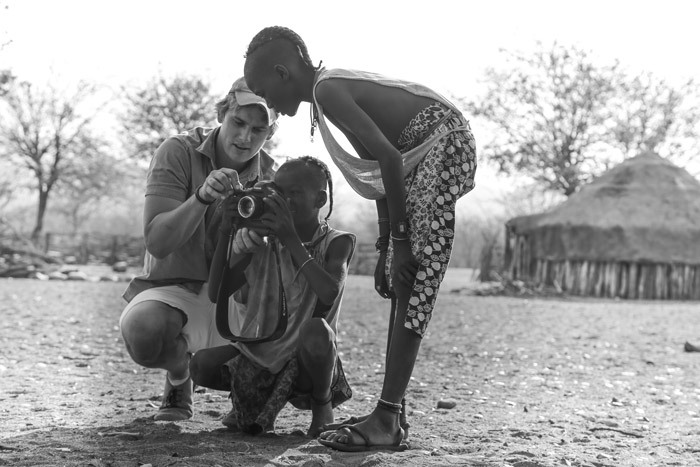 He strongly believes that in Africa there is a fine balance when it comes to where wildlife and people coexist, and it is crucial that one has the support and understanding of the local communities. 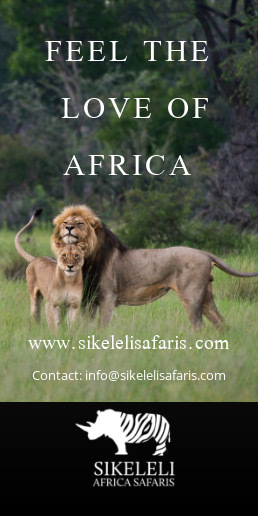 He works to continuously involve the local communities in tourism and reaches out to improve the livelihood of people living in this part of Africa. The majority of these people live a very rural life, and he believes that they too should reap the benefits that tourism brings to Namibia. 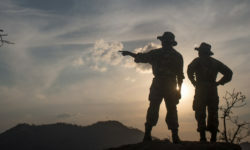 Thanks to his military background he understands how a well-equipped and properly trained anti-poaching unit is crucial in the fight against poaching, and has spent time guiding Save the Rhino Trust and teaching them tactics that will assist in the field. However, he reminded us regularly that without community support, these efforts are often in vain. Ndjinaa was neither bewitched nor dangerous. She has dementia. Berrie explained this to the elders once he was sure, and they were open to learning about this illness and how to care for Ndjinaa. Those in her village misunderstood Ndjinaa’s illness and she had been chained for years due to this misconception. She had also been thrown into a pit of snakes to try to expel her ‘demons’. It is incredible that this woman survived. Berrie cut off Ndjinaa’s chains in December 2012 and she has been free ever since. Koos and Berrie set up a clinic for Ndjinaa and those like her at Mbakutuka Komapando, just a few hundred metres from her village, so that she could still be part of this community. She is cared for there and is thriving. Last year Koos threw a party and danced with Ndjinaa – this brought tears of joy to his eyes, he was so happy to see that her spirit and love for life had returned. It was incredible to meet this woman and hear her story. We couldn’t believe her happy nature, her strength, dignity and presence. The work Koos is doing alongside Alzheimer’s Dementia Namibia is invaluable and has other benefits. The clinics set up (there is another one in Swakopmund) also work to create job opportunities in the training of dementia carers. It is calculated that there are about 8,000 people in Namibia with dementia. At the moment, only 17 of them are looked after. That leaves a whole lot people who desperately need help. Trained carers are either sent to Swakopmund if help is needed there, or they will be placed with a family in need of help. 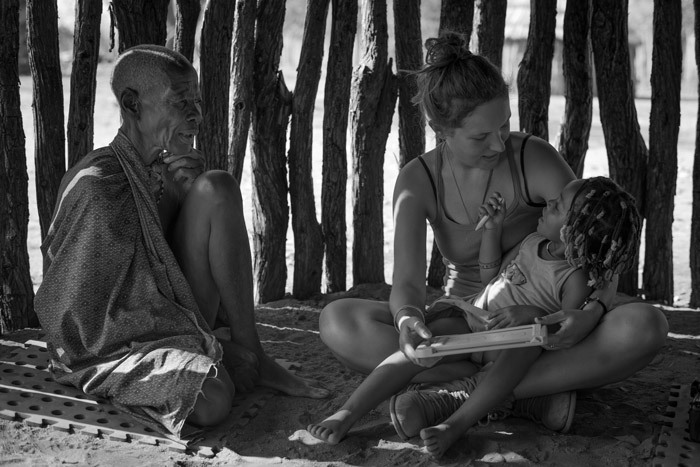 We were also fortunate to meet the elders of Ndjinaa’s village and spend time with them and their children whilst Koos held one of his regular meetings with them. They discussed numerous issues and worked to resolve these – a three hour conversation, with Juanine acting as translator. 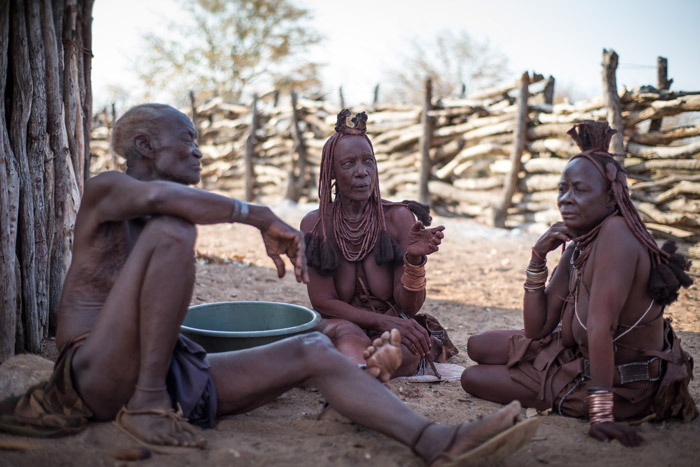 The next morning Koos was already working on the action plan discussed with the elders in the meeting to resolve challenges the community is facing. Thank you Koos, Juanine, Mariette and their extended family within the community for having us – we hope to be back in the not-too-distant future. 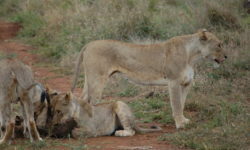 From a young age James and Sam Suter were exposed to the wonders of Africa and it’s wilderness areas. 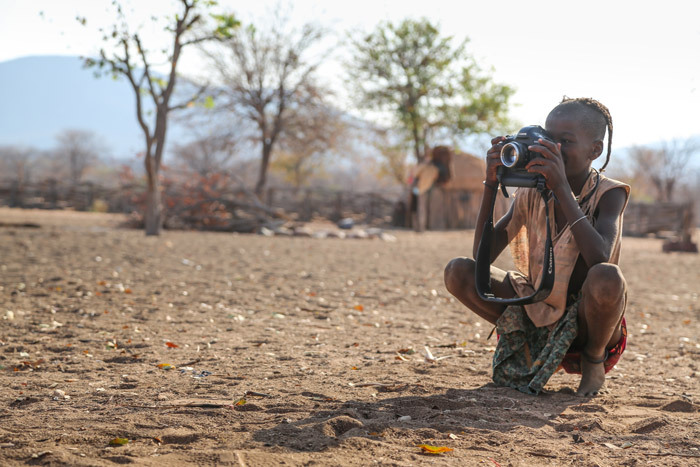 After graduating with a diploma in Environmental Studies, James went on to guiding where he honed his skills, picked up his camera and started to document his day-to-day scenes. 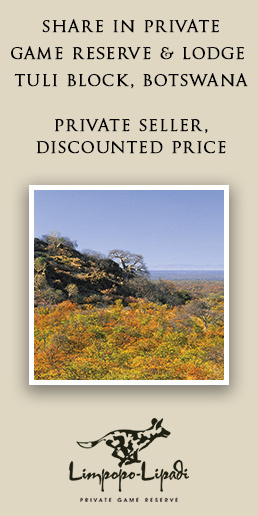 James now offers private photographic safaris and operates throughout Southern and East Africa. As well as his private guiding, James is co-owner of Black Bean Productions – a small independent production company in Cape Town. Sam is the producer at Black Bean Productions. 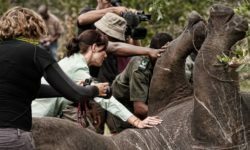 With a passion for conservation, travel and Africa – she creates short films and assists teams in raising much needed funds and awareness to continue the good work they are doing on the ground. 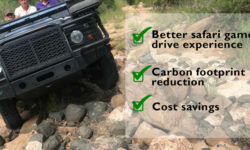 Black Bean Productions have produced films for the SANParks Honorary Rangers, Hoedspruit Endangered Species Centre and most recently is working on a film for the Black Mamba Anti-Poaching unit – the first all female anti-poaching unit that are doing critical work in the Greater Kruger National Park. 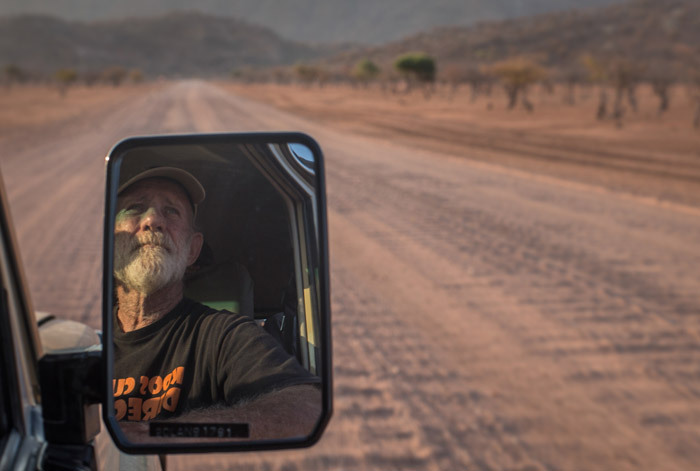 James and Sam have extensively traveled throughout Africa and recently got married and decided to take 6 weeks to explore the wild places of Namibia – they plan to visit many of the protected areas between Cape Town and the Kunene region in Namibia and share what they discover.